Several of my recipes call for precooked chicken. 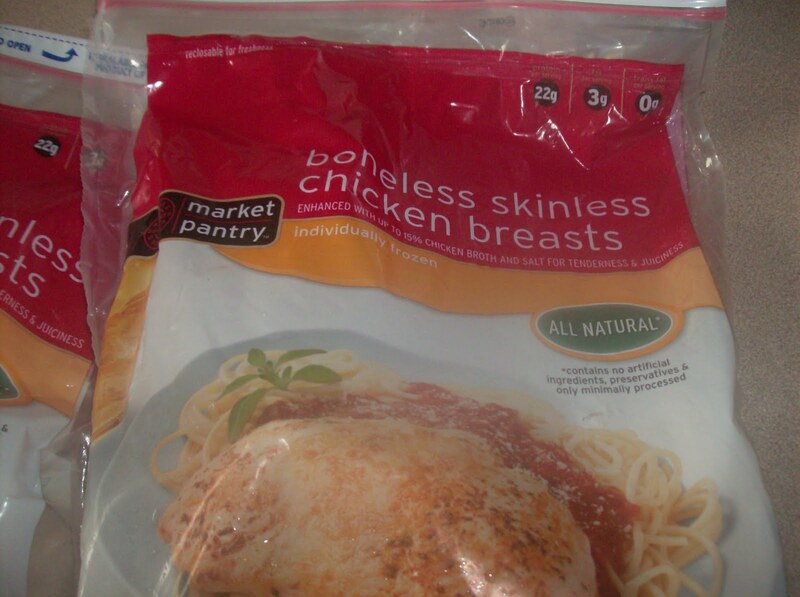 You can use a deli roasted chicken (usually $5-$6 each) or you can buy these frozen boneless skinless chicken breast. They are on sale right now at Target for $6.19 a bag and there is a $2 off coupon on the Target website that makes them $4.19 for 2.5 lbs of chicken. You can print the coupon twice. I put them in the crock pot frozen, cover with water and cook for 6 hours. Once cooked you can shred or cube them, bag in 2 cup portions and freeze. One bag will give you 6 cups of cooked cubed chicken. Most recipes call for 2 cups so this should render enough for 3 recipes for only $4.19! That is only $1.39 per recipe. Cook your chicken ahead and make your cooking hour even easier! I am cooking 2 bags at the same time so I will have 12 cups ready for upcoming recipes. « New format coming in October!